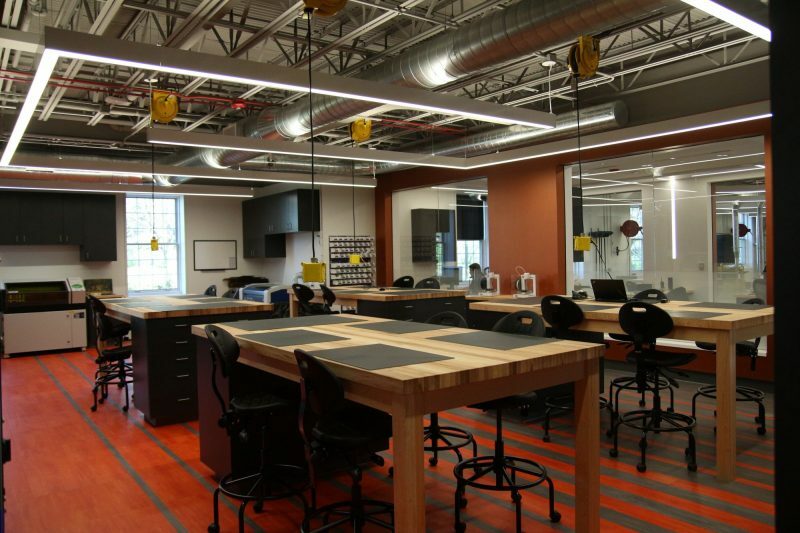 Renovation of an existing classroom/storage area to a new advanced computer technology laboratory and workshop located on the first level of a historic 3-story building at Western Reserve Academy. Custom lighting design and layout to achieve favorable illumination levels in the space, requiring close coordination with structure, ductwork and other utilities at the ceiling level. Varying dimming and vacancy detection lighting controls to accommodate the use of each space and individual lighting needs. The existing classroom space and storage area were not air conditioned. 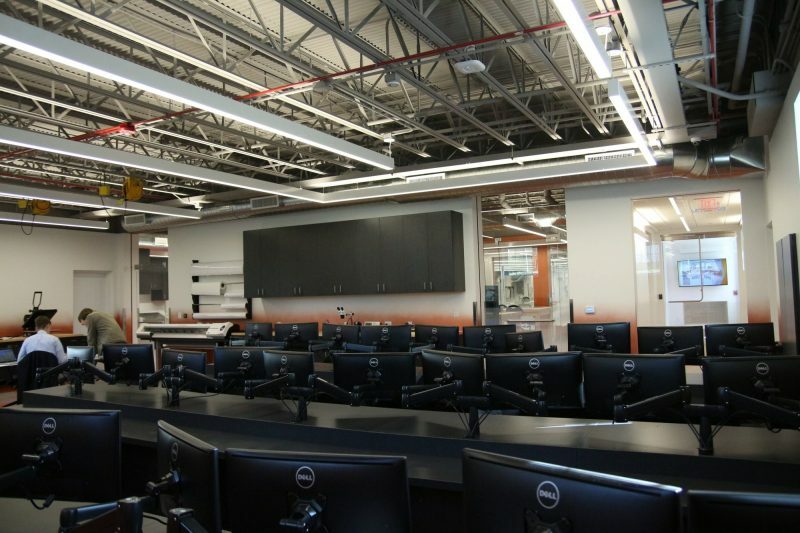 A series of high efficiency furnaces with air-cooled condensing units were added to condition the renovated classroom & lab space. 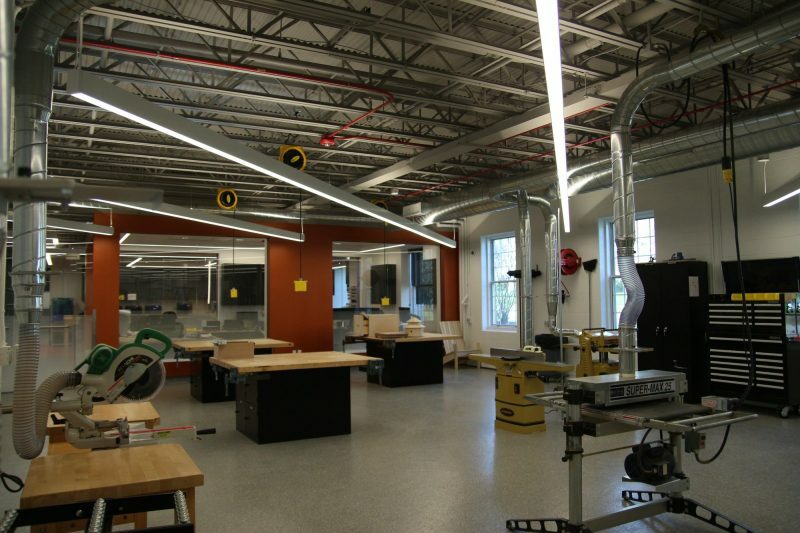 The systems were zoned to provide dedicated temperature control to each of the spaces. Modern lighting design that achieved IES standard illumination levels while complying with the limiting energy code power density allowances. Western Reserve Academy’s campus includes many buildings listed on the National Register of Historic Places. Alterations to the exterior of the building for implementation of new MEP systems required close coordination with the project architect and the architectural review board to preserve the historic nature of the building.